Mophie has long made some of the best backup batteries and battery cases you can get. The company’s upgrading its line of Juice Pack cases for the iPhone with a new model that’s waterproof. Not even a toilet can conquer your iPhone now. 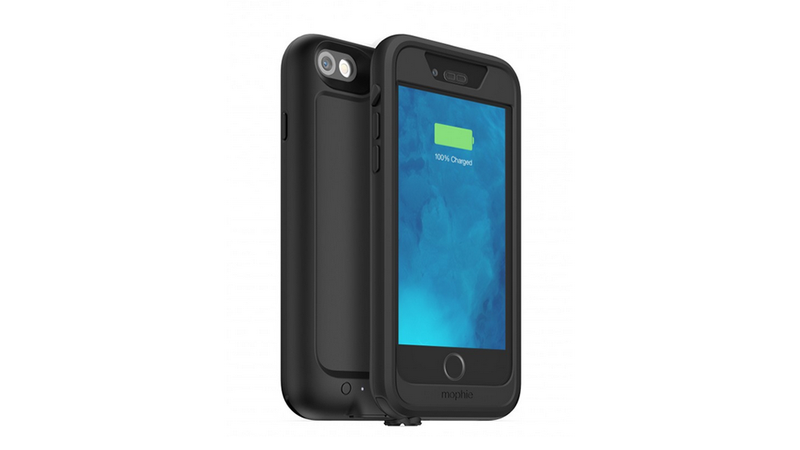 The new Juice Pack H2PRO provides 2750mAh of backup power for your iPhone 6, which is more than enough to give the phone’s 1810 mAh battery a full charge. The case has an IP68 ruggedness rating, which means it’ll protect your phone in nearly 4 feet of water for 30 minutes. Mophie also claims the H2PRO can withstand greater than military specifications for drop shock protection. The Mophie Juice Pack H2PRO is currently available for pre-order for $130, which the last time I checked, is considerably cheaper than the price of replacing your iPhone because you’re an clumsy doofus.